Just like last week this was a busy and productive week. Definitely the best type of busy as I got lots of new tours booked and while that means lots of work and being busy, it also feels me with happiness and energy. I love my job! 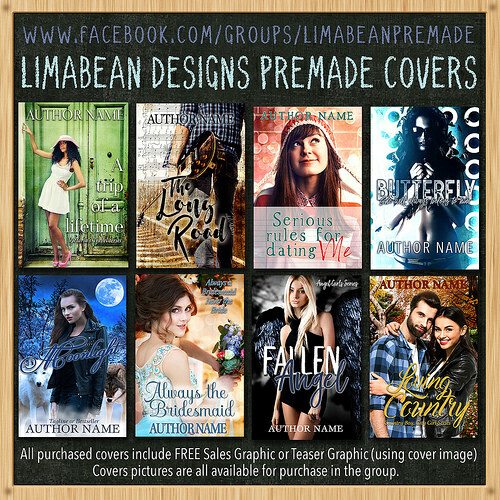 I am still working on getting all the tours and cover reveals on my site, so next week more sign-up post will go live. But I am happy with what I got done this week. I am organizing my second tour for an audiobook and I decided to officially list on my site that I organize audiobook tours as well. It seems audiobooks are getting more popular and it’s fun to organize audiobook tours as well. I hope by listing it on my site authors realize I do tours for audiobooks as well and I might get more of those in the future. This week my sister came for a short visit, she brought a delicious chocolate pie with her and we ate it, drank tea and chatted about lots of different topics. It’s always fun to catch up with my sister. My plan was to get few new books this week, but I totally failed in that regard, but I got so many books that I am really excited about that I don’t feel as bad at failing that goal. I didn’t got as much reading done this week as last week, but I am almost finished with my two current reads. 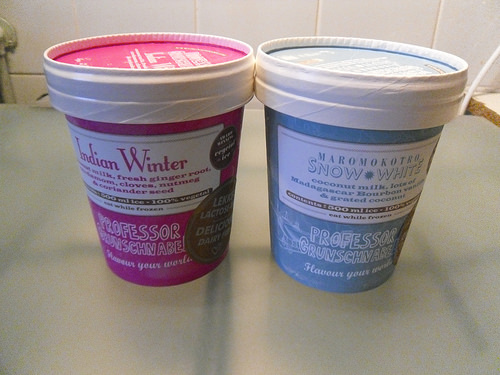 This week we bought two pints of a new brand of ice cream we discovered in our grocery store. I hadn’t seen this brand before, but it looked great. All the 6 or 7 flavors they had sounded good, but we decided to go with these two in the end. It’s ice cream made on coconut milk basis, I never have tried that before, so that sounds interesting. 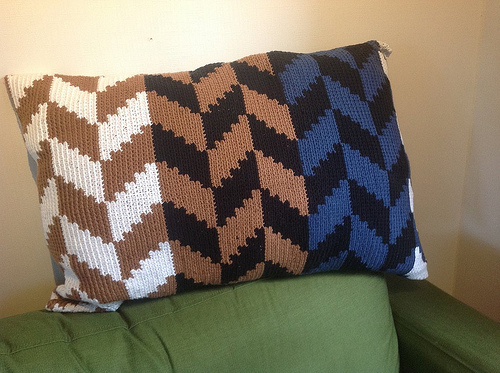 The pink one is with Indian spices and the blue one is with vanilla and coconut. I haven’t tried it yet, but they sound good. Have you ever eaten ice cream on coconut milk basis or other vegan ice cream? I only finished one book this week, it doesn’t look as impressive, but I do think it was a longer book and it was really good. It’s an April release so it was nice to schedule a review so far in advance as the next few weeks are mostly full already. – Behind the lens by Cassandra Giovanni – 24 February – New! Follow the Music by L.C. Ireland – 28 February – New! – Book Blitz: Trials and Tribulations – 20 February till 5 March – New! 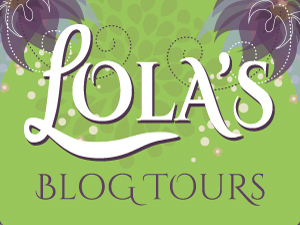 – Blog Tour: The Fairytale Chicago of Francesca Finnegan by Steve Wiley (Audiobook Tour!) – 13 till 26 March – New! Yes I got a lot of new books this week, but look at all the pretties! I requested Until it Fades on netgalley and am so happy I got approved for it! 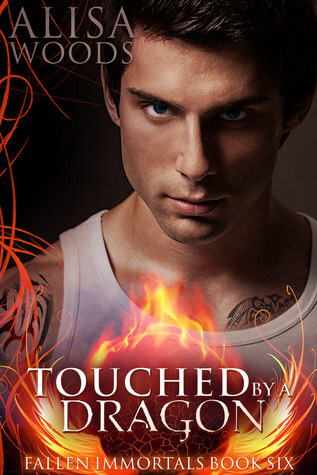 Touched by a Dragon got released for only $0.99 so i grabbed my copy on release day as I usually do with this series, I haven’t started it yet, but I can’t resist getting the books for that price as I know I want tor ea dit eventually. 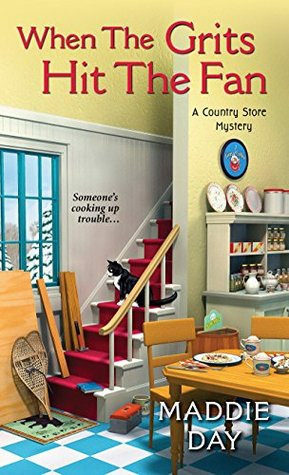 When the Grits Hit the Fan I got from netgalley as well, I really enjoyed book 1 and 2 in this series and am looking forward to book 3! 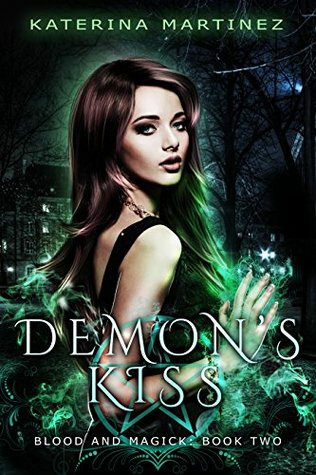 Demon’s Kiss is the sequel to Magick Reborn and it was only $0.99, so i grabbed it hoping I will enjoy book 1. 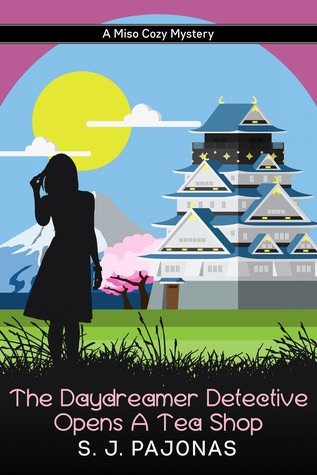 The Daydreamer Detective Opens a Tea Shop was one of my most anticipated releases of this year as a new Pajonas book is always reason to celebrate. I hope to start this one soon! So excited for this one. 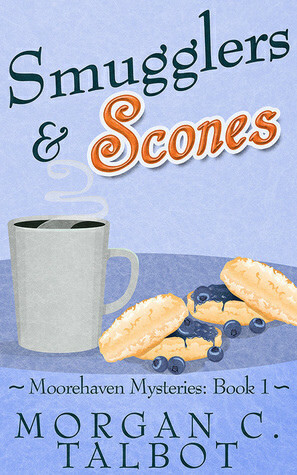 Smugglers and Scones I got for review. The author contacted me and it sounded exactly like the type of book I enjoy, so I accepted. Sorry didn’t make the time to type out my freebies for this week. 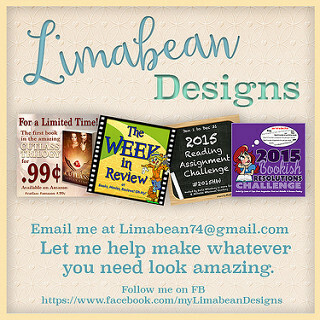 I have a facebook post here where I list free and discounted books. Hey! Sounds like you had a fabulous week and I’m glad for you. I see the ‘new’ down there by your tours, covers, and reviews lists. Neat that you now have the potential for more business coming in with audio book release tours. I’m not a coconut milk fan, but my folks are so they’d go ape over the ice cream you found. Creative flavor varieties, too. Your sister’s chocolate pie would hit the spot for me. Neat that you got to visit this week. Yes, that is a nice haul. 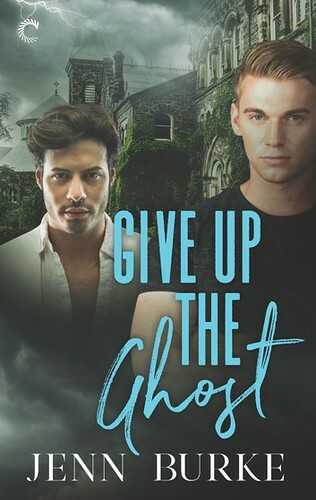 I will sometimes snag a book I’m not ready to read yet or it’s part of a series when it’s cheaper like that hoping I like it when I get to it later. Good group of review books, too. It’s always nice to list the new tours like that so it’s obvious which ones were new this week :). 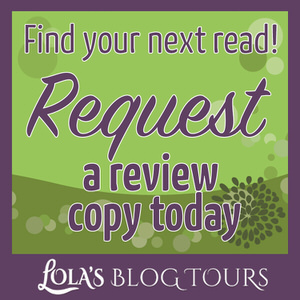 I am hoping some more authors are interested in audiobook tours, it’s nice to do tours for audiobooks as well. I’ve been seeing online some vegan ice cream posts on a page I follow. But I hadn’t seen it in our own grocery store yet, we couldn’t resist trying these when we saw it. We tried the Indian flavor yesterday, it tasted well, it had a very strong ginger taste. Sweet and fresh and spicy at the same time. The chocolate pie was delicious! It was only a small pie so we just cut it in three and ate a piece each. yum! I should’ve remembered to take a picture of that too. It sure is handy to look at the page counts sometimes. I always get a bit confused at the page count on the kindle app as it uses another measurement for that, but with how long it took to read me I realized it was a slightly longer book. I’ve been doing that sometimes lately, buying the next book in the series if I am pretty sure I want to read it. And especially with the $0.99 deals, those can be hard to resist. I like the SJ Pajonas covers. I got a gift of the first book though it isn’t really my genre but I like looking at it. I will give it a try at some point but it will be late in the year if I get to it. Depends on how well my tbr emptying goes! Enjoy your new reads! The covers for that Pajonas series are great. I really like them. Nice that you got a copy of the first book. I hope you enjoy it when you give it a try! Even though it’s not really your genre. I can’t eat regular ice cream, it gives me headaches for some reason, so coconut milk ice cream is what I mostly eat. Sometimes almond milk ice cream, but I don’t think that’s as good for you healthwise, so I really only get that in this one flavor that doesn’t taste good with the coconut. I actually don’t like coconut lol, but I guess I’ve gotten kinda used to the flavor of the ice cream, and the coconut is masked by the other flavors and things. Yes it was a great week with all the work and my sister visiting. It was just so weird I had decided to get few new books this week and then I got so many good ones. I don’t feel too bad about it as they all are books I really want to read and indeed some are part of series too. I never have had coconut milk ice cream before, but it’s great they have this alternative for people who can’t eat it or like some variety. I didn’t know almond milk ice cream existed, I think I tried drinking almond milk once, but didn’t like the taste. I do like coconut and use a lot of coconut milk for curries and such, so I think I’ll like this. It was such a good chocolate pie too! Sounds like a good week. I like coconut milk, but haven’t tried any of the ice cream made with it. I’m not really an ice cream person, I’ll eat it once and a while. I like the frozen coconut bars though, it’s like a Popsicle but made from coconut milk usually with other fruit mixed in. I’m glad to hear you have some book tours in the works. Have a great week! It was a good week. I usually use coconut milk in dishes, like curry, but rarely use it for anything else. The coconut ice cream sounds promising, I hope it’s good. Not sure if we have coconut bars here, but they sound good! It’s been amazing to have a few weeks with lots of work rolling in, in a row. So far this week has been off to a good start too. I never seen soy based ice cream before. I am not a big fan of soy milk, but maybe as ice cream I would like it. It’s nice to see these other types of ice cream popping up. Yes I always thought soy milk tastes of cardboard too. Good to know the soy ice cream doesn’t have that problem, that’s interesting. We have tried both coconut ice cream flavors and they are so good. I bought two new flavors this week as I got a discount from my supermarket. I’ll look out for the coconut icecream – many thanks for the recommendation:). That ice cream does look interesting, I know we can get coconut based ones here but I’ve not tried them myself. Just soy (I only like the chocolate flavour in that, soy always tastes so nutty to me). We tried both flavors by now and they taste great! I especially like the coconut flavor as it has a rich coconut taste. I am not particularly fond of soy milk, but haven’t tried it as ice cream before. Oh you’ve read the first Daydreamer book? I didn’t know that. It’s such a great series. I am currently reading book 3 and it’s a lot of fun! Not sure about the Indian Spice one but the Coconut One sounds yummy. I love Coconut Milk. I like to put it in my cereal. I really need to get more of it but no one drinks it but me. It does taste a lot better than regular milk. I like Ice Cream but it’s not my favorite dessert. Not sure if I actually have one or not. I didn’t do a lot of Amazon Searching this week, trying very hard to read a bunch of books off my Kindle so I can focus on Shelf books next. How did you know ;)? I got a few new tours booked this week. The Indian Spice isn’t my favorite, but the flavor is well done. Just not sure if I like my ice cream tasting spicy and it’s a pretty strong flavor. But the coconut one is really good. i bought two new flavors to try today, banana and chocolate. We already tried the chocolate and it’s probably the best chocolate ice cream I tasted so far, which is saying a lot as I don’t usually like chocolate ice cream. That’s great you’re getting your reading groove back! It’s nice to catch up with family. I have a half sister and although we talk every once in a while, I haven’t seen her in 30 years. Chocolate pie sounds so good. I love ice cream but haven’t had any made with coconut milk. oh it looks like you have been doing good on keeping up with the tours. And that new ice creams looks delicious. Hope you enjoy it. Yes it’s been great to have so many good weeks in a row :). The ice cream turned out to be really good! I’ve had coconut milk ice cream before and it’s super delicious! I hope you like it. I bet it would be great with a brownie. 🙂 And I’m glad you’re looking forward to the next Daydreamer book. It’s nice to know there are a few people out there that look forward to what I write! We only tried the Indian flavor so far, I liked it, but it tasted a bit too strongly to ginger for me. I hope to try the coconut flavor soon. I am always looking forward to a new book by you :). I hope I can start this one soon as I am so excited to read it. The Librarians looks fun. I still have not gotten to the show yet… urgh it seems like something always comes up, I’ve been meaning to watch that show for a while. Yes I’ve been seeing more bloggers do audiobooks and also more indie authors who publish audiobooks or get audiobook contracts. 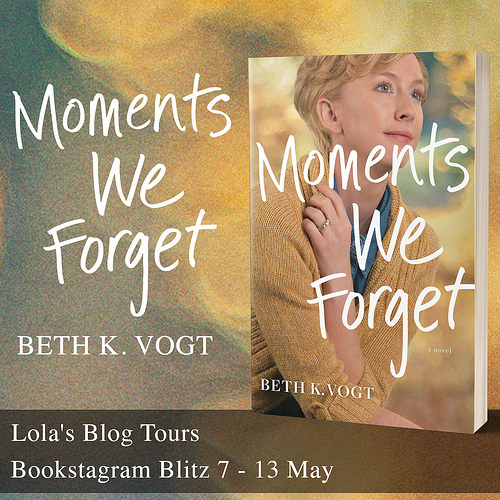 And as this si the second audio tour I am organizing I figured I would just add it to my site so others know I do those too. The Indian Winter was a good flavor, but not totally to my taste. it was quite strong, but very unique and well done. 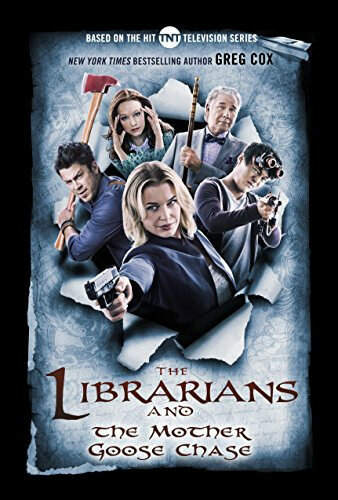 I hope you get the chance to watch The Librarians, I would be interested to hear your thoughts about it. I think it’s a fun series, will have to make time to watch season 3 soon. Wonderful you got to spend time with your sister. The ice cream looks good. Good I’m hungry now. Have a great week and happy reading! Yay for a great week and cool on the audiobook tour. I don’t think I’ve ever seen one of those. Hope this next week is great, too! I don’t think I’ve seen many tour companies do them yet. 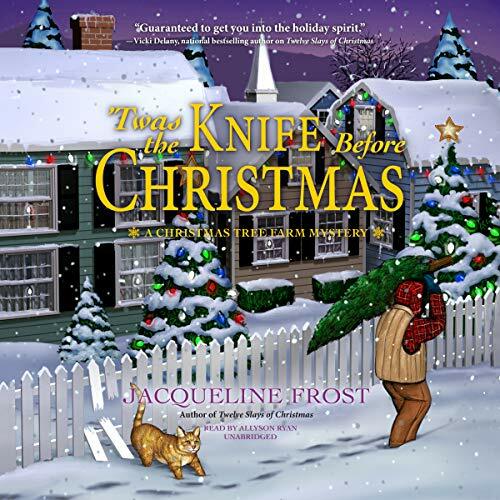 I had an indie author who wanted to do an audio tour last year and now another, and they are fun to do, so I thought why not officially list it on my site too. Glad you had a good week. You know how much of an audiobook fan I am. It is fun way to get more time with books. I wouldn’t get nearly as much reading in if it weren’t for audios. A good narrator is a must. Hope you have a great week. Yes I know how much of an audiobook fan you are. It’s like more and more bloggers listen to audiobooks now and then. So I thought doing audiobooks tours as well would be fun :). Now just hoping authors will be interested in them. I might give audiobooks a try eventually as well. I listened to a few samples on amazon this week to get a bit of a feel for some narrators and maybe that will help me decide what I like. You are right. Audiobooks are the thing now. At least for me. Lots of DNFs I had now are 5-star reviews because I loved them as audiobooks! Good luck! It really seems audiobooks are getting more popular. I see more bloggers listen to them and even some indie authors get audiobooks for their books. So it seemed a good idea to offer audiobook tours as well. It is always great to catch up with family, glad you and your sister had a nice visit. I got Until It Fades too and look forward to getting to it soon. Have a great week. Nice you got Until it Fades too :). I hope to get to it soon. Not a fan of Indian food so that one wouldn’t be one I would eat. I like coconut, but have never drank coconut milk-but that would be my choice to eat of the two. I’ve never seen ice cream like that here, at least my store doesn’t carry anything like that. 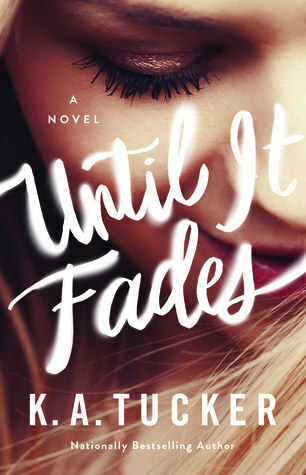 I can’t wait to read Until it Fades-love anything she writes.It looks like you got quite a few good books! 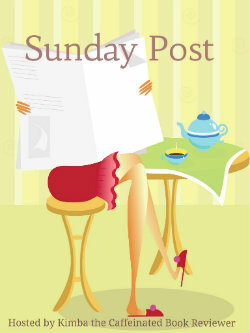 Glad you had a productive week-hope this one is just as busy-in a good way! I never had seen ice cream like this before either, so it was nice to give it a try :). I have read 3 of her books before, so I was curious about this one! This was a good week as well, busy in a good way!